CCEJN plays a critical role in raising awareness about the environmental issues that grip the San Joaquin Valley. Since 2001, CCEJN has organized bi-annual conferences to educate community members about the industries that are polluting our communities and empower residents with the skills to take action. CCEJN’s first conference focused on the cumulative impacts of environmental degradation in rural and low-income communities in the Central Valley. 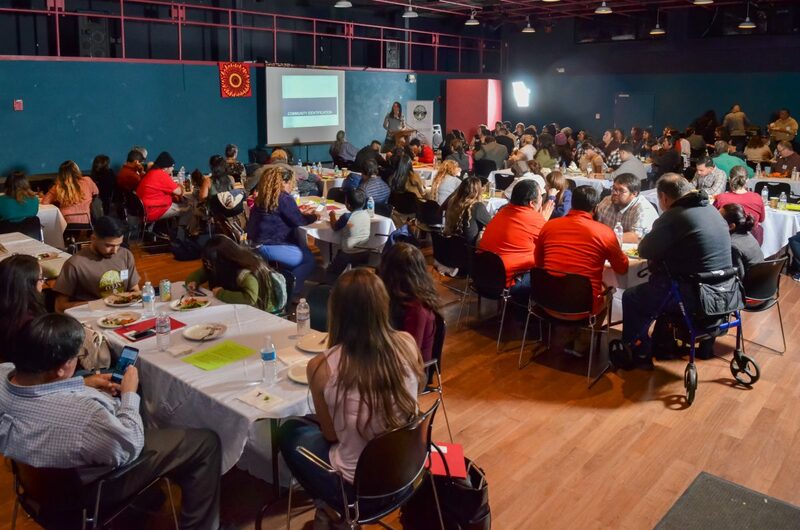 Since then, CCEJN has hosted eight more successful conferences that have become a trademark event uniting grassroots leaders throughout the San Joaquin Valley. CCEJN conferences educate and train local leaders in policy, advocacy, community organizing, leadership development, public education, and civic participation, primarily around environmental topics and other social justice issues impacting disadvantaged communities. These conferences bring together residents, scholars, regulators, philanthropists, and social justice advocates. At every conference, special emphasis is given on engaging youth in the environmental justice movement. Hundreds of people have attended these conferences and benefited from the plethora of trainings and presentations, which have included: Mapping Tools, Immigration and Environmental Racism, Using Arts & Culture for Organizing, Community Air Monitoring Networks, Pesticides, Community Gardens, Water Quality, Challenges Caused by Drought, Equity and Opportunity Through Land Use Planning, and many more.